Do Phil Coulson and his team of SHIELD agents still fight the good fight during the fifth season of Marvel’s Agents of SHIELD TV show on ABC? As we all know, the Nielsen ratings typically play a big role in determining whether a TV show like Marvel’s Agents of SHIELD is cancelled or renewed for season six. Unfortunately, most of us do not live in Nielsen households. Because many viewers feel frustration when their viewing habits and opinions aren’t considered, we’d like to offer you the chance to rate all the Marvel’s Agents of SHIELD season five episodes here. 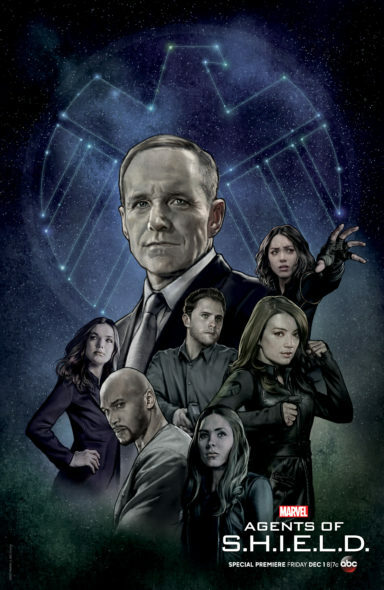 An ABC sci-fi action-adventure drama, Marvel’s Agents of SHIELD stars Clark Gregg, Ming-Na Wen, Chloe Bennet, Iain De Caestecker, Elizabeth Henstridge, Henry Simmons, and Natalia Cordova-Buckley. With Ghost Rider’s help, last season, Coulson (Gregg) and his team saved the world. At the end though, their celebration was cut short, and soon, Coulson was aboard a space ship. In season five, they will have figure out where they are and how to return home. Meanwhile, humanity’s time may be running out. What do you think? Which season five episodes of the Marvel’s Agents of SHIELD TV series do you rate as wonderful, terrible, or somewhere between? Should ABC cancel or renew Marvel’s Agents of SHIELD for a sixth season? Don’t forget to vote, and share your thoughts, below. 5/14/18 update: ABC has renewed Marvel’s Agents of SHIELD for a sixth season. Details here. More about: Marvel's Agents of SHIELD, Marvel's Agents of SHIELD: canceled or renewed? Beyond a doubt, the BEST show on television! Thank you for renewing it for a 6th season! Hopefully it will continue past that!